Pickup from Jaipur Airport / Railway Station / Bus Stand by placard carrying driver. Transfer to hotel for installation. Visit to Birla temple, Nahargarh Fort (sunset view over city). 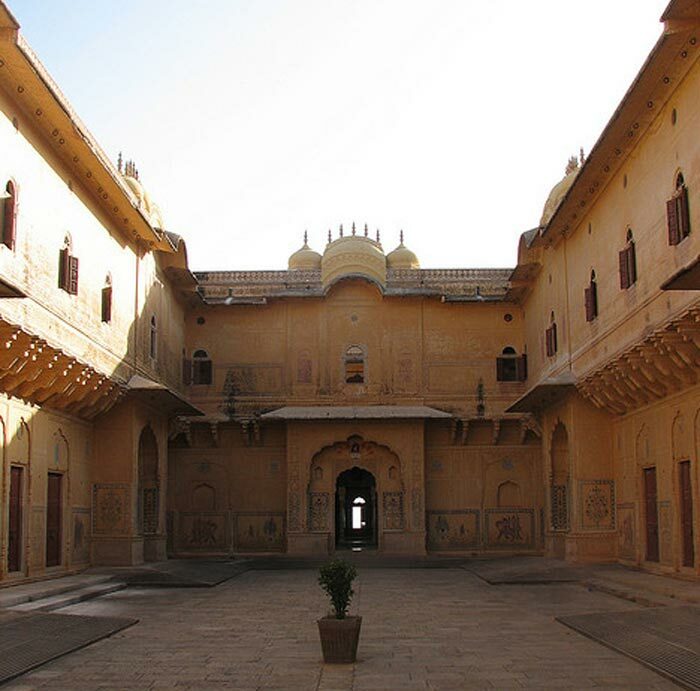 Drive through the Johari Bazaar or the old jeweler’s market to Hawa Mahal (Palace of Winds). Also visit Gaitor (royal cenotaphs), Amber Palace, Jaigarh Fort and Kanak Vrindavan Temple. Evening free for your independent activities. Breakfast at Hotel. Drop at Airport / Railway Station / Bus Stand. If you have not decided yet or wants to customize tour itinerary or hotels listed above in "Royal Jaipur Trip", then we can change the travel itinerary and make a personalized, tailor-made holiday package, especially for you. We can modify this travel package as per your itinerary, budget, duration and the tourist places you would like to visit, including transportation and airfare should be included or not. Please fill the form below to contact us.